Is it time for an end-of-year email “Flush”? The end of the year 2014 is nearing and I’m starting to get some ‘what a great year’ email in my inbox. As I reflect back on the year, I’d have to agree. As I look at my work inbox, It’s sitting at 71 items – that’s not exactly ‘inbox zero’ but it’s a low enough number that I can quickly scan all of it at the end of the day to make sure nothing slipped by. There are some great advantages of “inbox zero” and while I rarely get to ‘true zero’, having a small number of items in my inbox does provide a certain amount of peace and comfort that lets me focus my energy on other things, instead of having a looming feeling that I’ve forgotten to address something critical. When your inbox gets overwhelming, it’s time for a flush. Now this doesn’t mean you just delete everything, but why not make a folder, call it “Stuff I didn’t get to in 2014” and drag EVERYTHING in from your “inbox” to this new folder? Then start out 2015 with a clear inbox and see if that helps your productivity and focus. 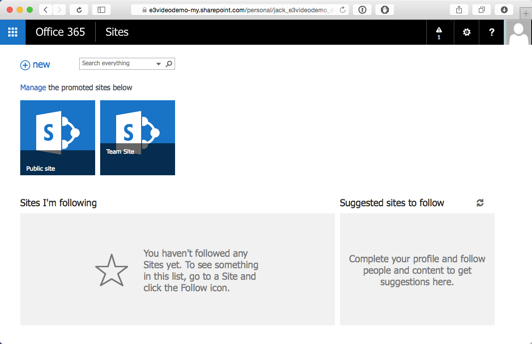 Is ‘SharePoint Online’ becoming ‘Office 365 Sites’? There’s been a bit of chatter for some time now about the future of SharePoint. Every other branded product has its brand name. 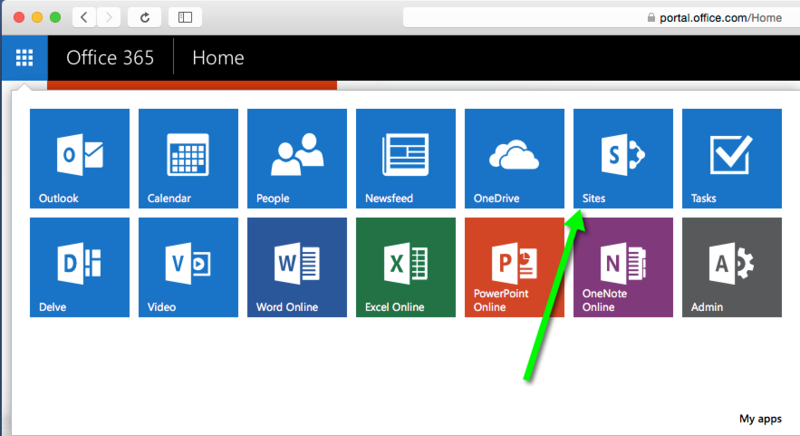 And both PowerPoint Online and and OneNote Online use two lines to describe what those do. 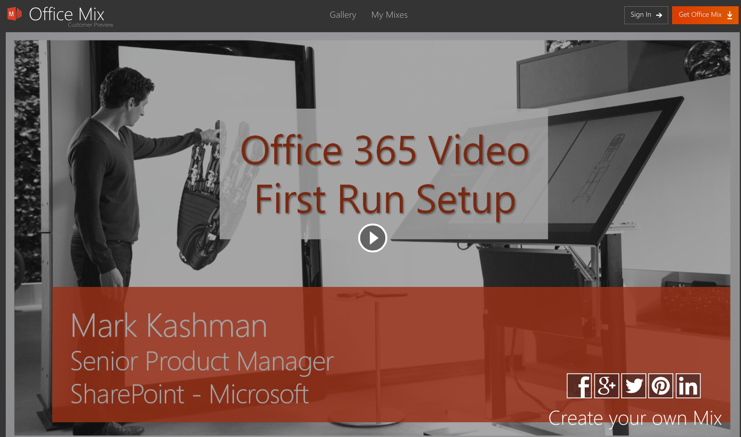 Now, if “Video” by itself means “Office 365 Video”, does it follow suit that “Sites” by itself means “Office 365 Sites”? Lets look at a few more things in the o365 interface. 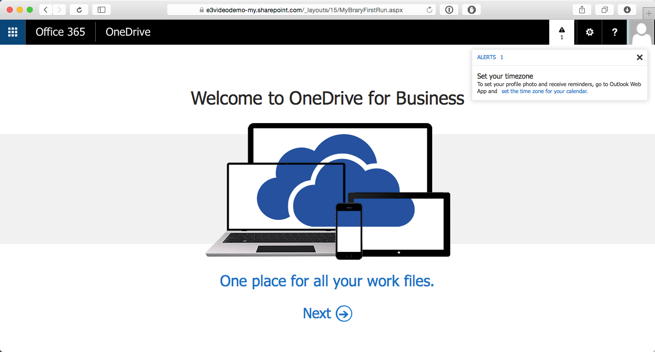 Now here we can relax, Microsoft hasn’t rolled Sites into OneDrive. If you note the url, you’ll see it’s going to a mysite location. It’s the first time I’ve used this tenant, and mysites have never been setup for the user that I’m using. After the mysite was setup, I went back to the first screenshot, and again clicked on the “Sites” link. Now lets take a moment and examine that screen shall we? Those familiar with the SharePoint 2013 branding might recognize the “S>” logo. 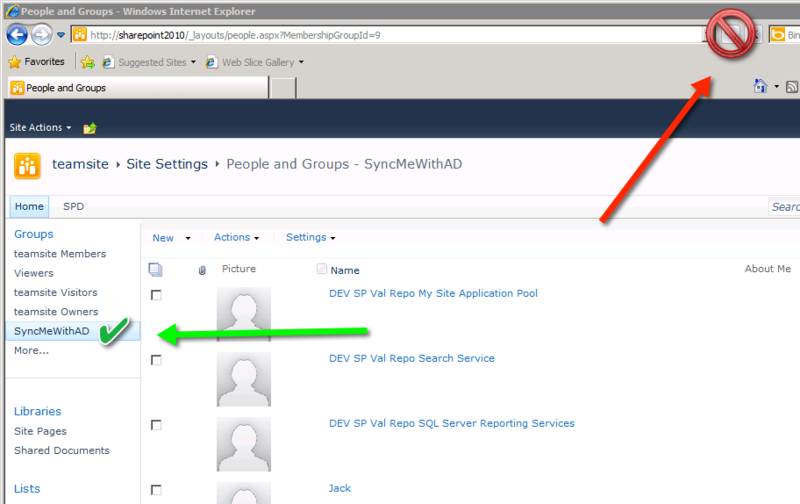 Those familiar with SharePoint infrastructure might notice that the URL is a SharePoint MySite. If that’s a mysite, maybe the “team site” is different? Curious, I had to create a standard old “team site” and see what it looked like – I did this in the SharePoint online admin panel (yes that’s still there, under the hood) Note, that I did this before the above screenshot was taken, which is why you see “Public Site” and “Team Site” in the screenshot. Ok so what does a “Team Site” look like? 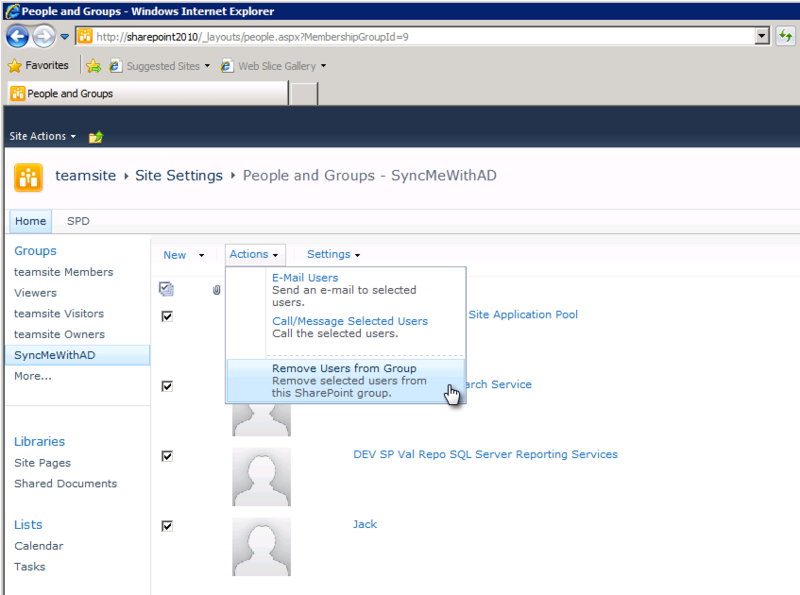 See the word SharePoint anywhere on that screenshot? Times they are a changing. If I didn’t know any better, I’d say that the SharePoint Brand Name is on it’s way out. Is it time to rethink the “SharePointJack” brand as well? In Office 365 Sites / SharePoint Online, deleted objects are supposed to hang around for 90 days. While playing around with SharePoint Online I deleted a site collection, then went and had a look in the SharePoint Online admin portal. I was a little surprised to see that it showed that it only had 30 days to live – that’s a lot less than the 90 that MS states. I searched the net, and confirmed, it is in fact supposed to be 90 days. It turns out that between day 30 and 90, you must use powershell to recover a deleted SharePoint Online/o365 site. Now the above commands will get you connected to SPO, and then show you what sites you have that are deleted. What if you only want to restore one site? I presented a session at SPFest Chicago titled: SharePoint PowerShell Time Machine. I look forward to hearing how you’re using PowerShell to save time! PS. If you download the scripts, you might find you have some trouble running them – Windows will sometimes tag the files as ‘downloaded’ and you’ll need to untag them before you can run them. If all else fails, you can always open in notepad, and copy/paste into a new file. I did a PowerShell workshop with Michael Blumenthal today at SPFest Chicago. The main slide deck is attached below, more to follow. If you were at the session, thanks for attending! If you missed it, thanks for looking up the slide deck! Either way I look forward to hearing how you’re using PowerShell with SharePoint!